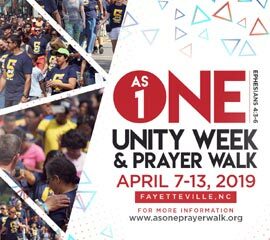 The AsONE Prayer Walk, is an annual ecumenical gathering hosted by AsONE Fellowship, Inc., that takes place on the second Saturday of each April in historical downtown Fayetteville, NC. People of various ages, ethnicity, religious denominations and backgrounds gathered for one purpose - to unite in prayer as one massive body and proclaim the greatness of our God! 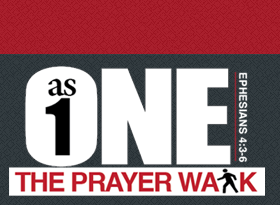 There is no cost to participate in the AsONE prayer walk, it is absolutely FREE! However, as an act of solidarity we are asking all participants to purchase an AsONE T-Shirt to help display our unity and raise the funds need to carry out the message of reconciliation. THANK YOU for being a participating church or ministry! 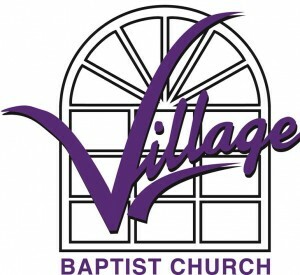 Click Here if your church would like to become a partner. ClearView Missionary Baptist Church, Inc.
Covenant Family Worship Ministries, Inc. Encounter With God Ministries, Inc.
First Baptist – Anderson St.
First Baptist – Moore St.
Jesus Is The Way Christian Fellowship, Inc.
Mt. Pisgah Baptist – Butler Nursery Rd. If your church believes in the vision of AsONE and would like to become a financial sponsor please Click Here. 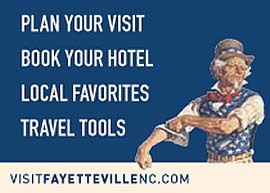 Click the links below to register for the event you would like to attend.